the details below. Or why not pop in and pay us a visit? to floor covers, rugs and accessories for your home. Browse to find out more. We’ve successfully created vibrant, striking and impactful design schemes for customers across Leicestershire and the surrounding counties for years. 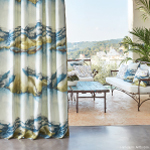 Whether you’re looking for colourful curtains, fabulous flooring or some wonderful wallpaper, we’ve got a huge range of products to choose from. Our team of creative designers can help you narrow down the choice, based on your style preferences and your budget. We’ll help to pull a quote together for you and our expert team of fitters can finish off the perfect job. Browse through our products to discover a little more. Brookside offers many different types and qualities of carpets with a varied choice of patterns and colours from all the major manufacturers at prices to suit all budgets. 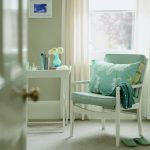 We have an extensive range of natural fibres including sea grass, sisal and coir which add colour and texture to any room in the house. Brookside offers an alternative to wood or ceramic flooring with Amtico and Karndean luxury vinyl tiles; the perfect product to add some real luxury to your home. Our comprehensive range covers every style of rug from shaggy to sheepskin in a variety of colours, which means there is bound to be something to suit your taste. 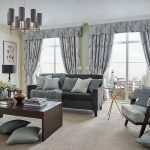 Our Curtain Department is constantly being updated with the latest creations from some of the country’s leading suppliers. 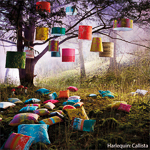 Browse through one of the largest selections of furnishing fabrics in the area. 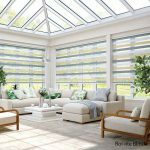 Whether you are looking for traditional Venetian blinds or modern rollers, we have a catalogue full of products to ensure that you can find something perfect for your taste. Whether you are looking for an imaginative statement for a feature wall or classic wallpaper for the whole room, we have many ranges for you to choose from. If you require decorative poles or functional tracks to complement your curtains then we have an extensive range for you to choose from. Browse through our products. We stock a large range from the leading suppliers to give you choice. 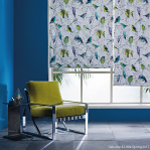 We’ve got carpets, curtains, blinds and wallpapers to suit all rooms, style preferences and budgets. Our product knowledge of the leading suppliers of carpets, flooring, curtains, blinds, wallpaper and more helps us guide your decision-making, based on your preferences and your budget. We love the sense of satisfaction we get from a job well done. Have a browse through the work we have completed for our customers and see our craftsmanship for yourself. Brookside Carpets and Curtains - based in Market Harborough - is a friendly, family run business, first established by Robin Cutsforth in 1982. Robin’s career was in the flooring trade and after several years of running the business, his wife Jo joined to form the team.